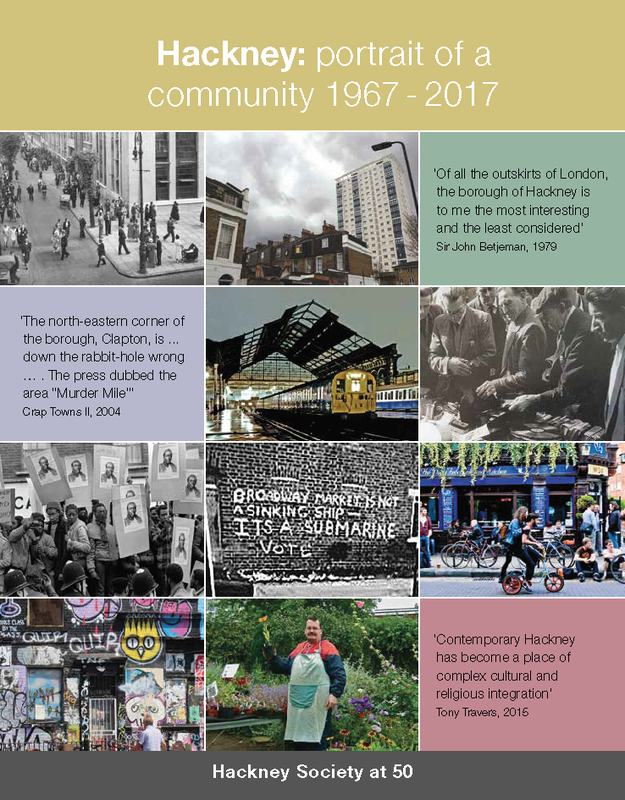 Lower Clapton Heritage project volunteers have been collecting local memories and stories as well as photos and material about Lower Clapton over the last 100 years. These will be showcased as a free event in the Round Chapel on Sunday 13 November. In addition to the exhibition, there will be film, local history storytelling, stalls, a zine by young people of their views of the area, tea and cakes and some surprises. 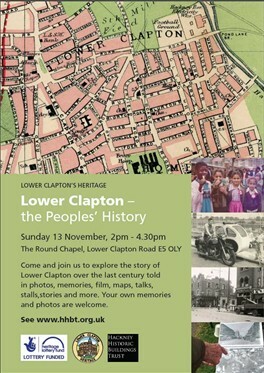 A history map of Lower Clapton will be launched on the day and free copies will be available. Lower Clapton Heritage Project is run by the Hackney Historic Buildings Trust supported by funding from the Heritage Lottery Fund (HLF). See for updates on the programme on www.hhbt.org.uk or http://www.roundchapel.org from the beginning of November.